We are the only tuition agency in Singapore that hires former MOE teachers as tuition coordinators. We do so because only trained teachers can understand what students really need from their tutors in order to study well and score much higher grades quickly. Within 12 hours after you contact us, we will show you between 4 and 8 tutor profiles. All of these shortlisted tutors are competent, responsible and motivated by their own abilities to improve their students’ grades. We show you only profiles of tutors with proven abilities to help their students improve 1 to 2 grades within 1 semester. Super Tutors has attracted Singapore’s best and most qualified tutors because we share a common goal – to help students succeed. 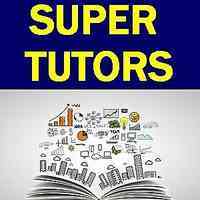 Super Tutors has a growing team of over 19,000 high quality and committed home tutors. Their hourly rates range from $30/hr (experienced undergraduates) to $130/hr (Heads of Departments at MOE schools, teachers at leading MOE schools). Ms KJL has 11 years of Science tutoring experience. She has been a Science relief teacher at MOE for 4 years and is also a private tutor. Ms KJL graduated from NTU, majoring in Biomedical Sciences (Honours). Her private tuition students attended Anglo-Chinese School (Junior), Nan Hua Primary School, St Andrew’s Junior School, Hai Seng Secondary School, Nan Hua High School, and Raffles Girls’ School (Secondary). Super Tutors has 19,000 qualified and experienced tutors that can provide you with much-needed guidance towards major school exams, the PSLE, GCE O Levels and GCE A Levels. We have experts that very familiar with the latest MOE syllabus, and they also excel at including fun and interactivity into lessons, to stimulate interest and encourage self-motivated learning. Tutor matches are successfully completed within 24 hours after parents tell us their tuition requirements. Please register at our website. We look forward to recommending an effective tutor for Science to you soon! DYSLEXIA Tuition Tutor available for Special Needs, ADHD Asperger's and Autism ASD"